In Rutland, an innovative community-based approach to battling opiate addiction has been underway for more than two years. VPR is reporting on the city’s progress from several perspectives, beginning with two women who’ve battled opiate addiction themselves. Sherri Bergeron and Tracie Hauck both paid dearly for their addictions, and both women are now trying to help others get and stay clean at Rutland’s Turning Point Center. 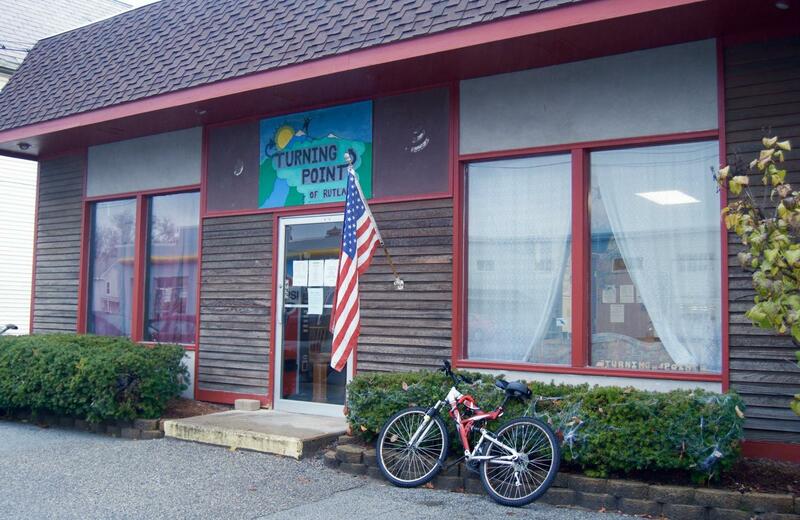 The Turning Point Center, a member of the Vermont Recovery Network, is a nonprofit that provides support services and a substance-free space for those in recovery. On this particular morning, a boisterous pottery class is going on in one room, down the hall, there’s one-on-one counseling. A Narcotics Anonymous meeting will be held here later tonight. Sherri Bergeron volunteers here three days a week. 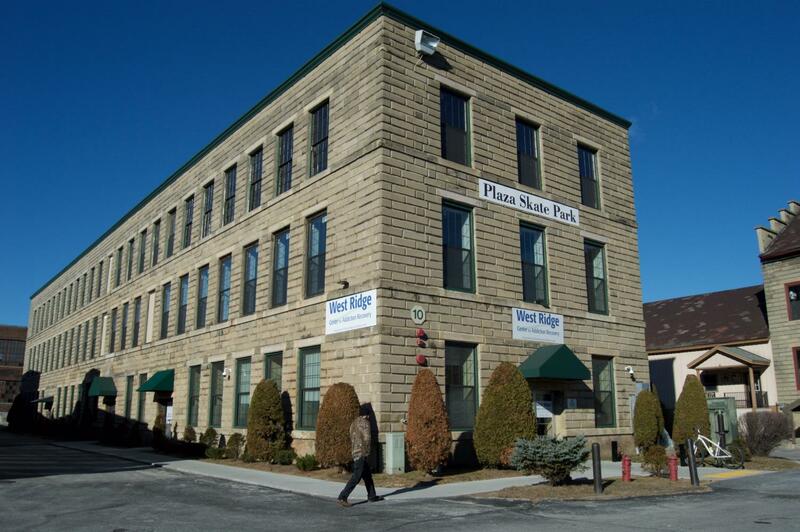 The Turning Point Center of Rutland is a nonprofit that provides services and a safe haven for those in recovery. Sherri Bergeron volunteers here three days a week; her own addiction began with prescription narcotics. Bergeron, a petite, 43-year-old mother of two, says to maintain her habit, she began dealing. She drove from Rutland to Albany every other day to resupply. “I was selling $4,500 a day. Thursday through Sunday, it was $11,000 to $12,000 [in heroin sales] over a weekend. 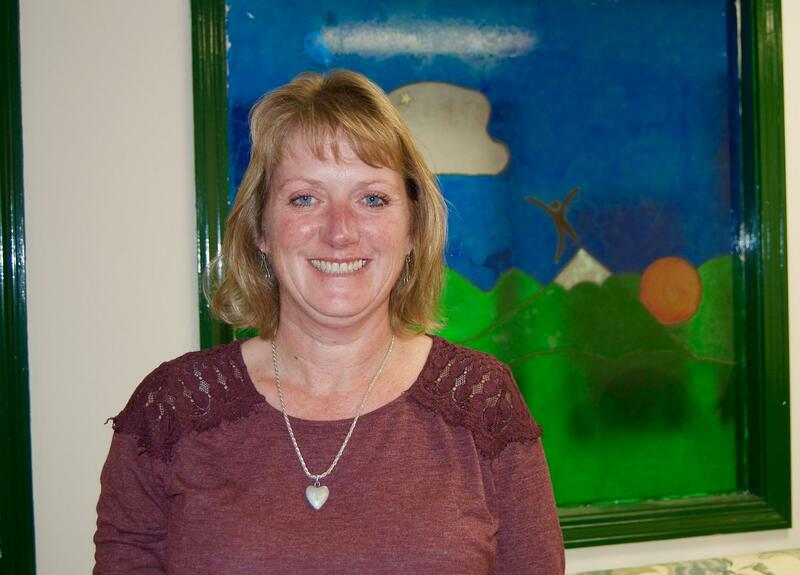 I was like one of the number one people in Rutland as a seller,” she says. Eventually, Bergeron says, she got arrested. She lost her children and went to jail. Prison turned out to be a blessing, she says, because it led to rehab and forced her to make changes. Westridge, Rutland's Methadone Clinic, has been open for more than two years and now serves more than 400 recovering opiate addicts. She’s now taking methadone and has been heroin free for more than two years. Her addiction, she says, cost her everything. But she’s slowly rebuilding her life, including her relationship with her two sons. She’s also training to become a recovery coach at the Turning Point Center so she can help others. Tracie Hauck, the center’s executive director, says people would be shocked to realize how many of their friends, coworkers and neighbors are silently struggling with addiction. She says she did for years. Vicodin was Hauck’s drug of choice, a painkiller she says she was introduced to after back surgery. “It made me feel better. It made it easier for me to get up, and go to work, and do my stuff, and play my roles, and not feel miserable,” she says. Miserable, not so much from physical pain, but from a marriage that she admits was crumbling. Tracie Hauck, executive director of Rutland's Turning Point Center, says people would be shocked to realize how many of their friends, coworkers and neighbors are silently struggling with addiction. She says she did for years. The long time nurse says she began falsifying prescriptions to get the narcotics she needed. Hauck says she gave up narcotics cold turkey the day she was caught, and is now focusing her efforts on helping others beat addiction. She wipes her eyes and admits despite everything she’s lost, she’s at peace. “I feel like I’ve finally become me today. I just feel like a totally different person. I’m not ashamed of anything I do anymore. I don’t have to hide things. There’s a saying that says you’re only as sick as your secrets. And I don’t have any secrets anymore,” she says with smile that's hopeful and sad at the same time. She thinks Rutland has taken a similar approach to fighting addiction. The problem will never go away completely, she says. But the fact that the city has launched a community-wide effort to fight back known as Project Vision is encouraging, and she says she regularly attends the monthly meetings. Hauck admits she lives in a more privileged part of Rutland where people might look down their nose at drug abuse. “But I’m seeing more people from that side of town that are looking at it as these are people, and they need help.” That's a huge and powerful change she says and it gives her hope. I lost my 38-year-old daughter this year to an accidental and deadly combination of drugs and alcohol. Laura was a vibrant, witty, and loving young woman who grew up in the Upper Valley and worked at the University of California as executive assistant to a dean. Highly intelligent and very accomplished, she was also a highly functional, very secretive addict. The Londonderry Selectboard will ask voters to consider supporting a heightened police presence in town. Following a growing concern about drug activity in Londonderry the board asked an ad hoc committee this summer to investigate the possibility of contracting with a local law enforcement agency.